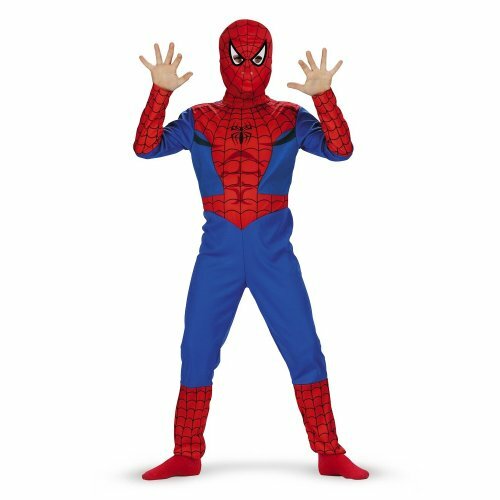 Become a part of the Marvel universe with the Spiderman Child Costume, which features a full body jumpsuit with padded chest and a matching Spider Man mask to get you in character. The long-sleeved jumper comes in a blue stretch knit material with a zip-up back. The sleeves are accented at their cuffs by a red and black spider web design print. This design can be found through out the costume. This costume is designed to look exactly like the real Spider Man so your child will be amazed by its authenticity!